dJAX adserver technology solutions, a prominent provider of ad server software solutions. We focus on the development of various ad serving products for multiple technology platforms. Our products can serve your organization needs and enhance the ad operations. Periodical reporting and automated ad delivery are offered in all our technology platforms. Our primary ad serving products are mobile, video, enterprise, premium display ad server, native ad server and ad server for advertisers and publishers with DSP, SSP and DMP. Our consultancy service for Programmatic advertising will enhance the opportunities of advertising. 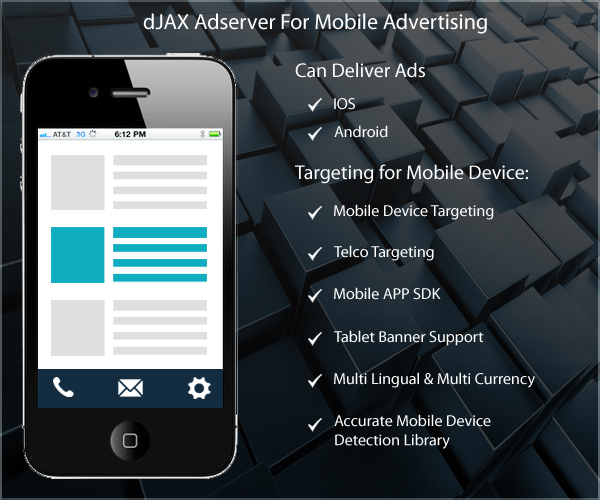 The dJAX mobile ad server is specifically designed for mobile advertisers and publishers. It involves buying and selling of digital ad inventories using real-time biding and targeting. The mobile ad server delivers the ads in android and ios mobiles and tablets, and it supports IAB standard ad sizes. 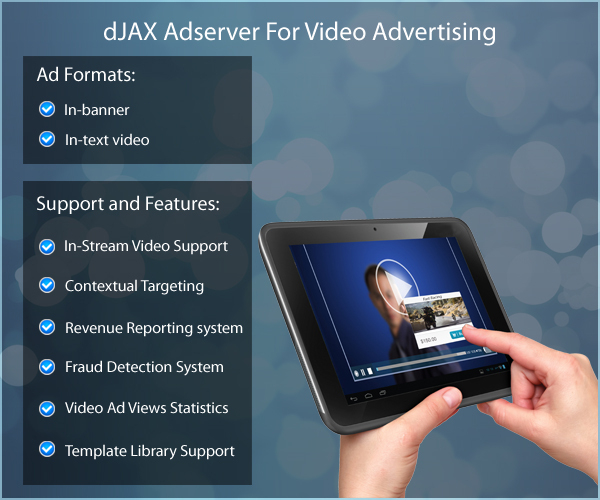 The dJAX video ad server sets up an individual ad network, which helps publishers to search and sell ad spaces to advertisers for serving their ads. The ads delivered by video ad server follows the targeting models set up by the advertisers or agency and the publisher will display the delivered ads in their website.